Church traditions have many sources, particularly those of the Church Fathers and Saints. These are not explicitly revealed texts, thus it is up to everyone to have an opinion about. As far as we are concerned we keep to the Holy Scriptures. These koranic verses consecrated to Mary underline many important concepts. The honour paid to the Imran’s family is due to The Virgin’s birth and later to the Messiah’s, Her Son. Mary and Her Son are thus placed next to the Patriarchs, but they overcome them because they possess themselves the completeness and the perfection of these high virtues. Mary’s family is from the descents of these patriarchs, but here, first of all, is a matter of spiritual descents (Mark 3, 35; Luke 19, 9; Matthew 3, 8- 10) as Jesus who was descended first of all spiritually from king David (Matthew 22, 41-45). They are united by the loyalty to God. Mary is “dedicated to the service” God since she was in the womb of her mother (See Luke 1, 47 and 48). In this verse it is Mary’s mother who, prophetically, vows in all exclusivity her daughter’s soul to God; indeed a pure soul only could be exclusively vowed to God because not mislaid by the original sin. We can sense here Mary’s Immaculate Conception. Mary is put under God’s protection against the Devil because she is preserved from the original sin as well as her descents: Jesus. They are absolutely pure. On the other hand, every sincere believer is called to become Mary’s son (John 19, 25-27) and thus he belongs to Her descents. The believer himself is not pure as he has been touched by the original sin, but it is through Mary’s intercession that he benefits from God’s protection. It is through Her that the final Victory against Satan has to take place (See Genesis 3,15; Apocalypse 12,1-6 and 13-17). 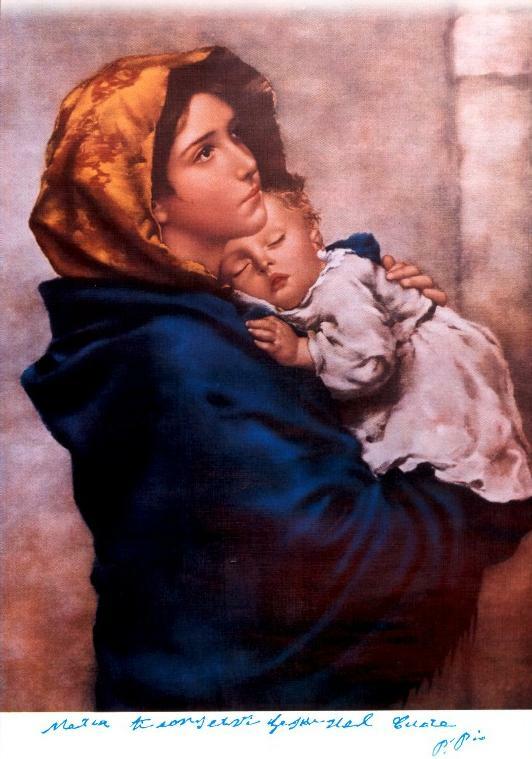 Mary is directly protected by God because she is Immaculate and she transmits this purity to Her Son. The Angel Gabriel appeared to a young virgin girl of just 16 years to announce her the miraculous conception of the Messiah in her. This dialogue between the angel and Mary is full of information, and it’s by this episode that the story of Mary in the Bible begins. The Koran written 7 century later is a simplified and poetic summary of it. Some of these verses are extremely revelatory of Mary’s role and nature. She puts herself a question innocently and pertinently regarding Jesus’ conception: “but how can this come about, since I have no knowledge of man?”(v35). and after the angel’s reply she did not ask for either a further assurance, or a sign (contrary to Zechariah who doubted him about John the Baptist’s birth (Lk 1:11-20) and who was more supposed to take the angel’s words for true as he was priest of the temple). Mary’s decision will be taken freely and with a full knowledge of the facts. It is what Padre Pio will call Mary’s “fiat” a humble and complete acceptance. In this account Mary’s unique role and nature are underlined in the Arab society of the 7th century, that gave generally little credit to women. Jesus’ complete name is Issa, son of Mary. The Arab names often begin with “ibn” or “ben”, that mean “son of” followed by the father’s name. Two elements are even anticipated, Jesus has no human parents and His Mother’s dignity overcomes the reserves regarding female in the Koran time. Besides, one should note that this verse presents the events as a direct conversation between Mary and God, subtly revealing their intimate relation (See Wisdom 8,3). On the other hand, the Angel of the annunciation (Gabriel) is also the one of the Koranic revelation. Mary is really in the centre of all believers’ life.